If you own a small business, having a Facebook page lets you reach individuals among the 750 million or so users worldwide who are most likely to be interested in your company. Your interaction on the social network gives customers the sense that they know you and your business, which can increase loyalty and make them more likely to recommend your services. On Facebook you can easily add features that are harder to implement on your website. You can build a custom page, run contests and promotions, and manage a small e-commerce shop. Plus, Facebook is free. Even if you pay for custom applications or a developer's services, it remains a form of advertising with a small price tag. The potential reach of a Facebook page is huge, as half of its users log in every day. Facebook studies show that people interact with their favorite brands on Facebook more than on any other social network, are more likely to recommend a brand after becoming a fan of it on Facebook, and are more likely to purchase a product after becoming a fan. In addition, anyone outside Facebook can view your Facebook page because search engines index it. Before creating your Facebook fan page, you must establish a personal Facebook profile. The individual in that profile is the creator of the fan page. 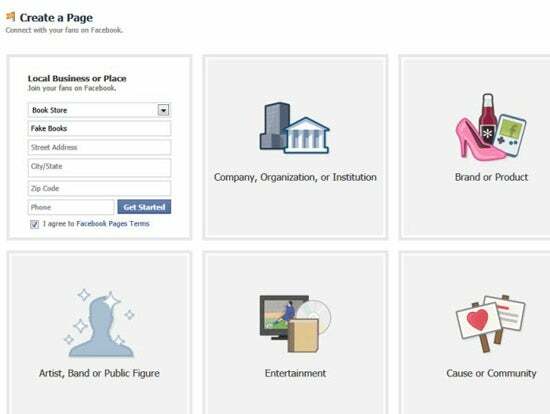 As a result, the subsequent Facebook business page doesn't have a separate login from that of the individual user who created it. A Facebook page can help you interact more with customers than a website can. Many people are nervous about mixing their personal information with their business information, but the two are conceptually separate. You'll interact with the business page as the business, and on your personal profile as yourself. Only administrators and the owner of the page can see other page admins. Thus, when I interact on my Facebook page, (Anti) Social Development, I post as that company and not as Kim Woodbridge. People who interact with my company page don't see my personal profile. If you aren't going to be the only person working on your business's Facebook page, you'll need to select admins. To do this, fill in the appropriate data in the 'Edit Page' section under 'Manage Admins'. The admins either must be Facebook friends of yours, or must be identified by the email address they use for Facebook. The admins you designate won't need your login to access the page, and once they log in as admins, they'll have access to page-editing features. For example, I'm an admin on a number of business pages and can access all of them by logging into Facebook, so I don't need anyone else's login data. Be careful, however, to add only people you trust as admins. Any admin can remove any other admin, even the owner of the page--a structural flaw that Facebook needs to address. If you add a developer or other person to work on your page temporarily, I recommend removing that person from admin status as soon as the job is done. Facebook does offer what it calls a business account, but this option is very limited and I don’t recommend it. A business account doesn’t allow you to install Facebook apps, so you can’t add a custom page made with iframes or third-party tools, as discussed throughout this article. For that reason, I don't recommend using a business account. One of the early steps of creating a business page on Facebook is to choose your business type. Next, click the Get Started button, and Facebook will guide you through the rest of the setup process, step by step. If you skip any of those steps, you can fill them out later on a new page in the Facebook Welcome section, which only page admins will see. 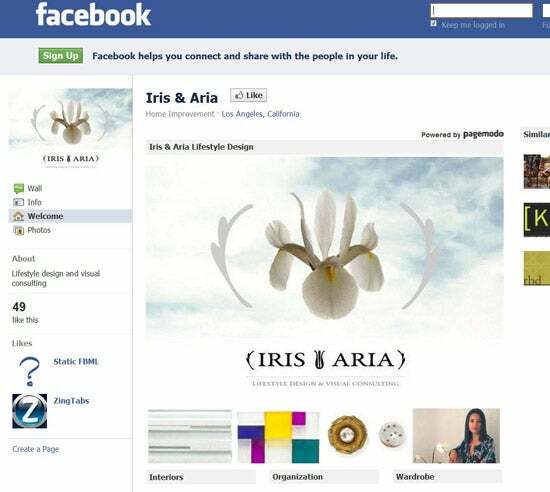 When Facebook walks you through the initial steps, it will request information about your business--a logo for the page avatar, details for the About section, contact information and hours, and the URL of your website. If you want Facebook to pull in your blog posts automatically, an application such as Networked Blogs can help. Each time you publish a new post to your blog, Networked Blogs will import the post and add it to the Wall of your Facebook business page. Among the Facebook applications that come with your page by default are Photos, Links, Events, Notes, and Video. You can't remove the default applications, but you can set them not to appear in the left-side page navigation. After completing the first steps, you'll want to customize the public appearance of your Facebook page with a design appropriate for your business. Next page: Should you build your own custom page, or hire a pro?